Hwangudan Altar (also called Wongudan) is a former Korean royals altar complex for the rite called Rite of Heaven. The rite was practiced during the Goryeo Dynasty but were abolished during the Joseon Dynasty. Hwangudan is located right at the heart of Seoul. 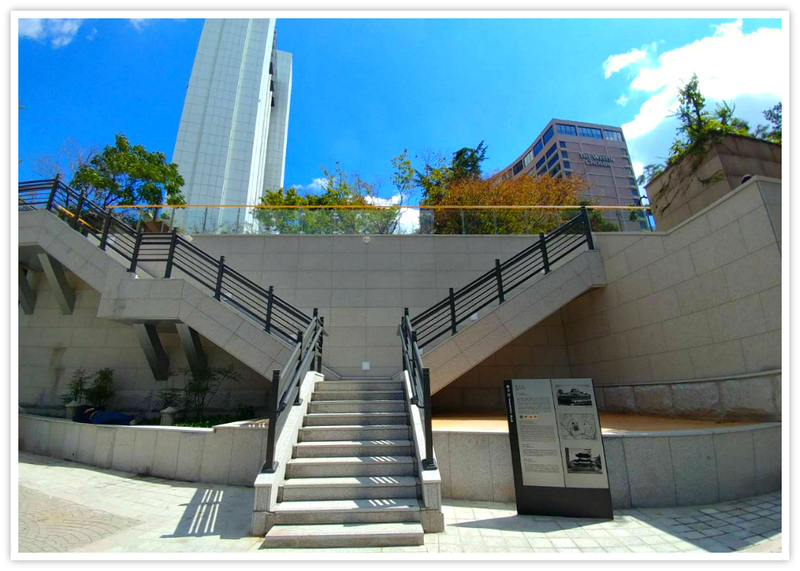 It is hidden from view due to the new structures of the modern Seoul metropolitan. It is close or just opposite of Seoul City Hall building and square. It is worth knowing that Hwangudan Altar is a very precious national property due to its relevant historical importance. Hwangudan Altar is a small site, if compared with other national treasures in Korea, but equally worth spending some minutes of your visit. Yes, I have been here many times. This was my second visit this year (2018) because during my first visit it was under renovation. Fortunately, yesterday, it looks like most works were completed. But nothing much has changed except for the new granite steps built right at the back of the site’s main gate leading towards the altar. Although it is located close to the busy main roads of Seoul, I found the site serene and suitable for a short walk and reflection. 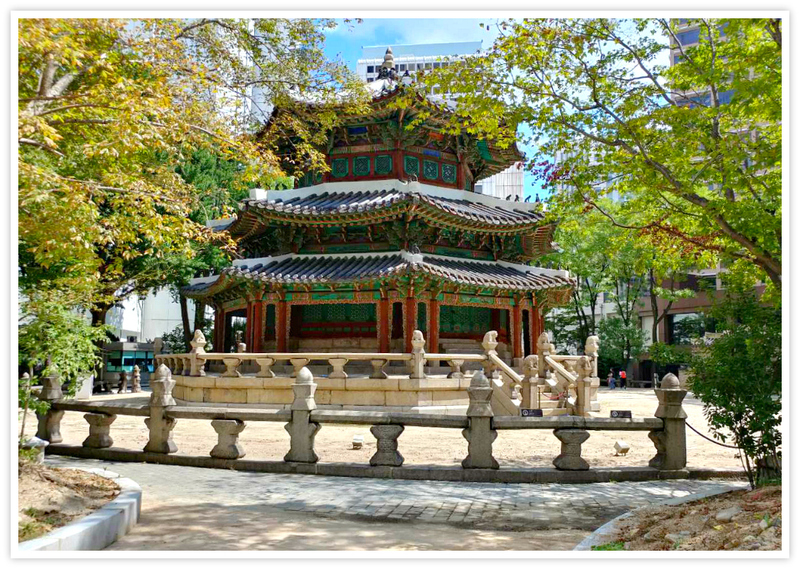 Hwangudan Altar was built in 1897 to serve as the place to perform rites of offerings to Heaven. This has been designated as historic on 15 July 1967. It has suffered destruction due to the Japanese invasion. However, it is restored to its heavenly elegance and its integrity rebuilt. So, it is good for a short visit knowing that religion among royals plays a significant part in the period’s social and cultural landscape. Performing the Rite of Heaven was practiced during the pre-Three Kingdoms period (Shilla, Goguryeo, Baekje). It was believed that the first king of the Goryeo Dynasty, King Seongjong, performed the Rite of Heaven for bountiful harvests. The performance of such a ritual has been practiced but was abolished. However, it had been practiced again briefly during the reign of King Sejo of Joseon Dynasty. King Gojong who proclaimed the Korean Empire in 1897 again performed the ritual but was subsequently stopped when the Japanese occupied Korea in 1910. The location of this altar was carefully planned by its expert builders. The plan was to make sure that it mimics the natural and heavenly elements' positions, such as the stars, moon, and sun. The altar is a 3-story structure and specially designed granite stones for animal sacrifice during the ritual. During the Japanese occupation, the altar has been destroyed. Having made the altar disappear, the Imperial Army built the Railroad Chosun Hotel where the altar formerly stood. When Korea became independent from the Japanese Imperial government, the Railroad Chosun Hotel hotel was demolished, and a new one called The Westin Chosun Hotel is established. Of course, more hotels close by the altar have been built during the mid-20th century and more recent ones. If you are a first-timer or do not have enough background information about this holy site, no need to worry as you can find information boards in strategic corners containing brief historical background of the site. Hwangudan (Altar) was a place where an emperor performed sacrifices to Heaven. It is also called Hwangdan, Wongudan or Wondan. 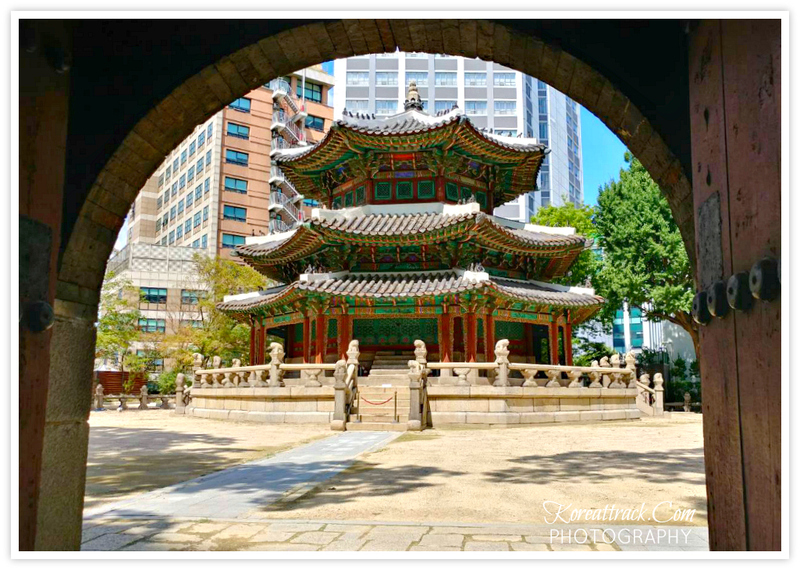 Nambyeolgung, a facility to greet Chinese envoys during late Joseon, was originally situated at this site. When Emperor Gojong (1852-1919) acceded to the throne in 1897, Hwangudan was erected at the site in accordance with the etiquette of an empire. Hwangudan, which was completed in October 1897 (1st year of Gwangmu), was designed by Sim Uiseok (1854-1924) who was one of the best royal architects at the time. Hwangudan was composed of a three-storied round-shaped altar, Hwanggungu (a three-storied octagonal building where memorial tablets of the Heaven gods were kept), a stone drum and doors. In 1913, which was during the Japanese Colonial Period, the Japanese Government-General of Joseon dismantled Hwangudan except for Hwangunggu, the stone drum, and the doors (sammun and hyeommun). In their place was built the Joseon Gyeongseong Railroad Hotel. Hwangudan was a symbolic facility which heralded the autonomy and independence of the Great Han (Daehan) Empire to the world, and it was built on a site facing Hwanggung (currently Deoksugung (Palace)) where Emperor Gojong lived at the time. This important historical site is not as popular as the palaces nearby, but a place is worth visiting, and it does not take much time to explore although you might take some time to learn its background history. 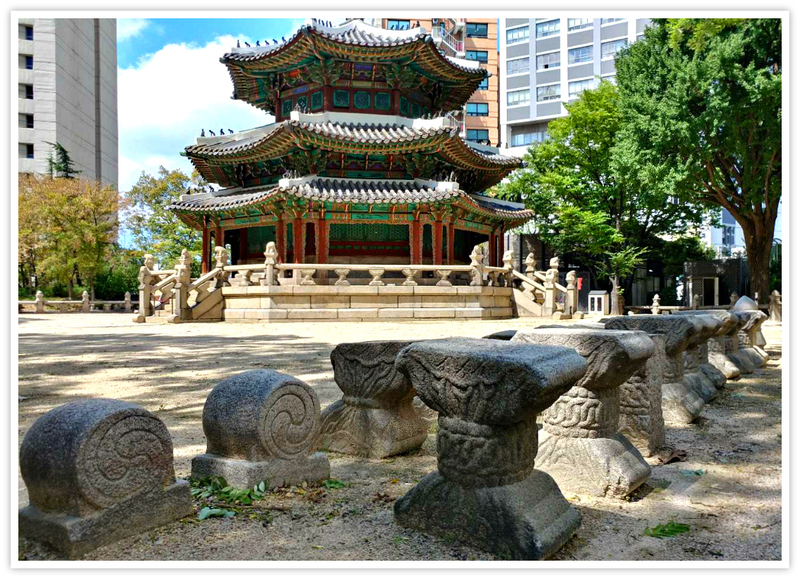 Yes, I found this place very interesting because I did not even know it existed given its historical importance among the ancient Korean people especially in terms of worship. I recommend it as your travel starter as the other historical tourist sites were established later on. The carved granite stones (above) with various intricate designs were once parts of some structures that formerly stood within the complex. As already mentioned above, it is quite easy to find this precious and historical site. When you are already in Seoul area, or is planning to explore the palaces (e.g. Gyeongbokgung, Deoksugung, Changgyeonggung, Changdeokgung, Gyeonghuigung palaces), you are just very close. Seoul Subway Line 1 and 2. Come out from Exit 6 of City Hall Station. Walk towards The Plaza Hotel and past Hotel President. Then turn right after Hotel President to find the main gate of Hwangudan. It only takes less than ten minutes from the station. Euljiro 1-ga Station (Subway Line 2). Come out from Exit 8 of Euljiro 1-ga Station and walk straight for about 200 meters, then turn left just before you reach Hotel President. It is closer and only takes around 5 minutes. Another choice is from Gwanghwamun Station. Come out from Exit 5 and walk for about 300 meters towards Seoul City Hall. You can cross the City Hall Square towards the Hotel President. 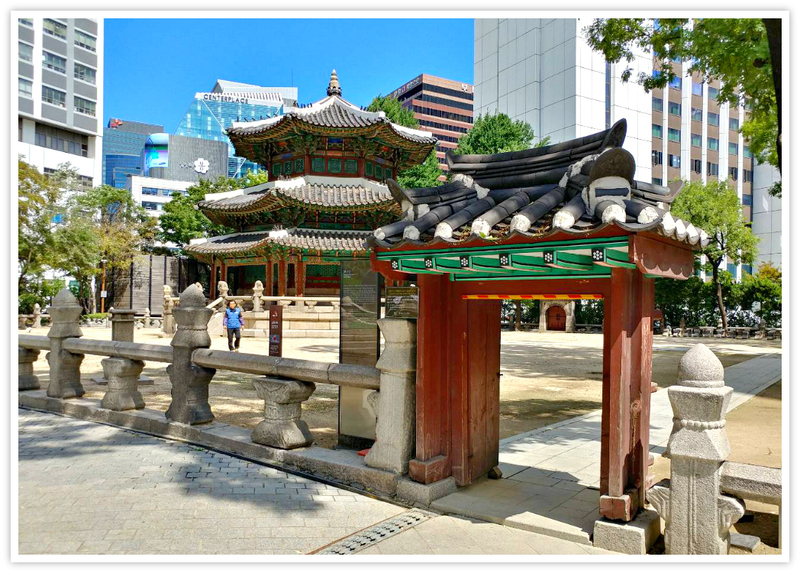 Behind the hotel is Hwangudan Altar. It takes over 10 minutes to get there from this station. Now, if you want to see the place simply follow the guides. If ever you have questions, please don’t hesitate to email me.